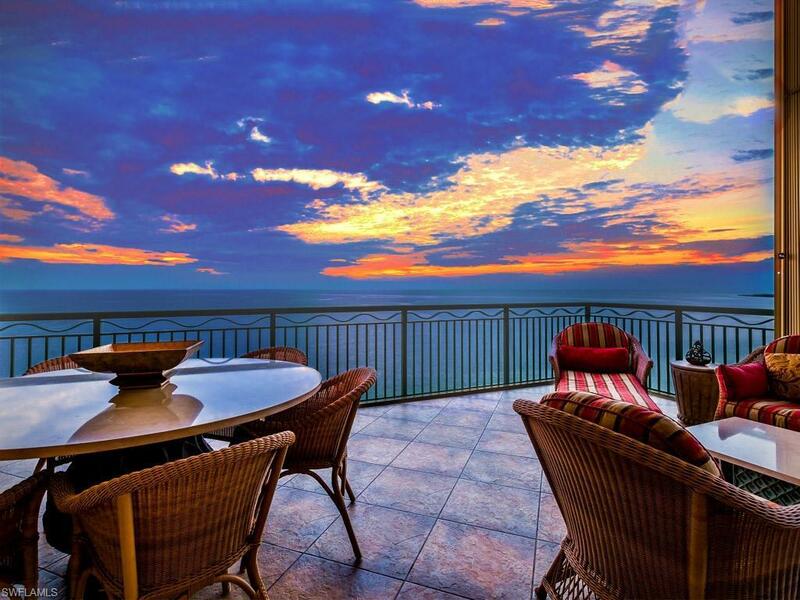 C.15188 Luxurious beachfront residence with amazing 180 degree views of Marco Islands famous sunrises and sunsets. This stunning end unit has been custom built from the developer, like no other unit. Enter thru the grand doors from a private elevator into the marble entry. 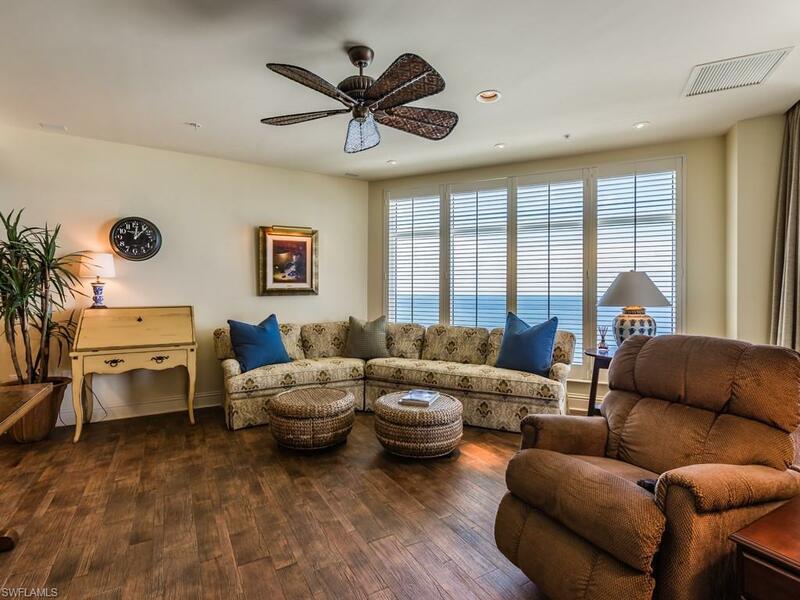 Your guests will each enjoy their own private suite with spectacular views of the island and the waterways from the private east facing terrace. The den features custom woodwork and amazing views from floor to ceiling windows. 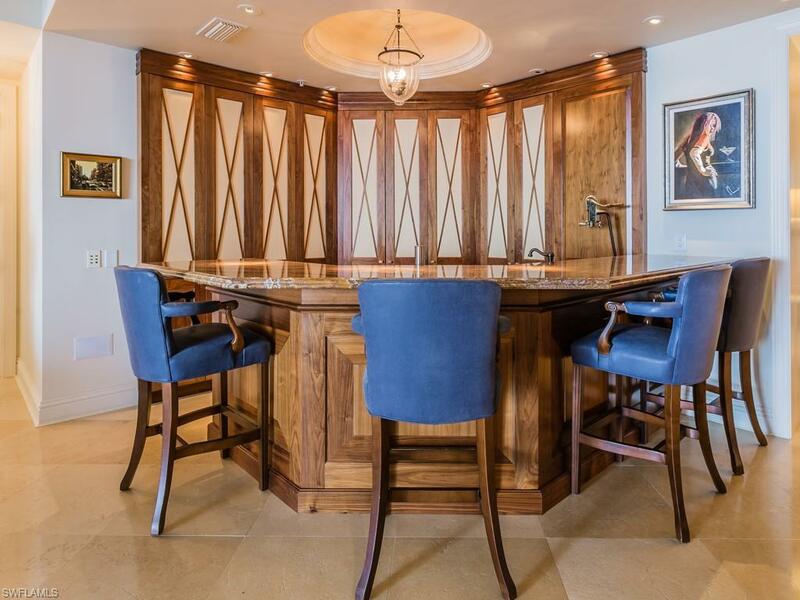 Entering the living area there is an amazing built-in bar with granite, wine cooler and custom cabinetry, perfect for entertaining. 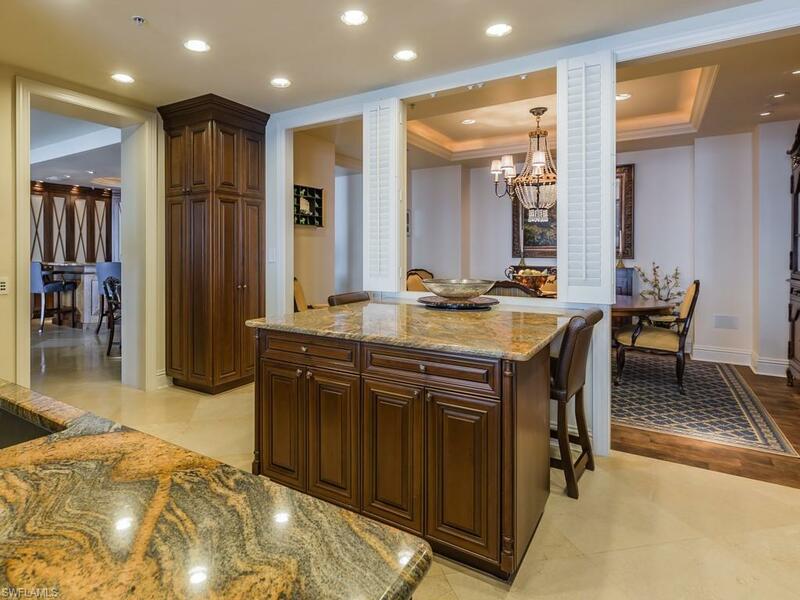 The gourmet kitchen features gas range, high end appliances, custom cabinets and granite. The master suite enjoys views down Marco Island's famous white, powder sand beach. Spacious master bath featuring very large walk in shower, his and her vanities, marble floors and granite counters. Amazing walk in closet in the master with custom built cabinets. Entire house has LiteTouch lighting system and Bose surround sound speakers, which are just a few more of the extra touches offered. This residence was professionally designed/decorated by David Smith Interior.